As a Lynnwood DUI Criminal Defense Attorney, Deputy Prosecutor, or Judge Pro-Tem, Brett Nagle has litigated many thousands of criminal cases. Brett grew up in Snohomish County, Washington, and attended college at the University of Washington. Brett graduated with a bachelors degree in political science. Mr. Nagle attended law school at Willamette University in Salem, Oregon. While in school, Brett worked as an intern for the Snohomish County Prosecutor’s Office in Everett, Washington during the summer. Brett also worked for the Marion County District Attorney’s Office in Salem. While still in law school, Brett was assigned to the felony drug unit, where he began appearing in front of the Grand Jury, attaining hundreds of felony indictments on behalf of the state. Mr. Nagle made law review, where he supervised other students in the process of publishing articles on various legal topics. After graduating from law school, Brett began a clerkship for Snohomish County Superior Court Judge George Bowden in Everett, Washington. After passing the bar exam on the first attempt, Mr. Nagle was hired as a Deputy Prosecuting Attorney in Snohomish County where he began trying and negotiating misdemeanor cases like DUIs. Mr. Nagle prosecuted DUIs and other cases in Snohomish County District Courts in Everett, Lynnwood, and Monroe. During his tenure in District Court, Brett tried dozens of cases and negotiated many hundreds of successful dispositions in cases ranging from DUI to Reckless Driving to Domestic Violence. Brett was soon promoted to the felony division of the Snohomish County Prosecutor’s Office, where he joined a trial team prosecuting felonies in Superior Court in Everett. Mr. Nagle tried cases involving narcotics, burglary, and property crimes. Brett left the prosecutor’s office perform civil work for Farmers Insurance Company. 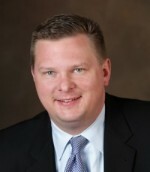 Brett served as in-house counsel for Farmers, defending those being sued by those claiming injury in car accidents. Mr. Nagle tried civil cases and negotiated dispositions between the insurance company and those seeking damages. Mr. Nagle now represents those accused of crimes, specializing Driving Under the Influence (DUI), Felonies, and Domestic Violence offenses. 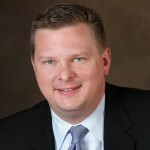 Brett uses his trial and negotiation experience to achieve successful results for his clients. Since 2004, Brett has served regularly as a Judge Pro-Tem in Snohomish County District Courts. Brett has served as a Pro-Tem in Snohomish County municipal courts as well, including Bothell and Marysville. Brett has received extensive training in preparation an trial of DUI/DWI cases in Washington State. He is a member of the National College of DUI Defense. Brett has received extensive training in Field Sobriety Testing and breath testing in the State of Washington, including evaluations in wet and dry laboratory environments. Mr. Nagle is qualified to administer field sobriety tests and has taught other attorneys DUI and criminal trial practice techniques at seminars certified by the Washington State Bar Association and Snohomish County Bar Association.